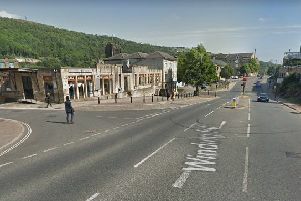 Drivers in Ryburn and Sowerby were caught speeding, driving without a seatbelt and using a mobile phone by West Yorkshire Police’s Operation Hawmill. On Friday, March 29, police stopped five drivers in the area not wearing seatbelts, one driver who was speeding and one using their mobile phone. Officers also caught two drivers with no MOT and issued one with a Section 59 warning, which relates to the anti-social use of a vehicle.